Statewide Snowpack basin-filled map December 17, 2018 via the NRCS. Statewide Basin High/Low graph December 17, 2018 via the NRCS. Arkansas River Basin High/Low graph December 17. 2018 via the NRCS. Upper Colorado River Basin High/Low graph December 17. 2018 via the NRCS. Gunnison River Basin High/Low graph December 17. 2018 via the NRCS. Laramie and North Platte Basin High/Low graph December 17. 2018 via the NRCS. Upper Rio Grande River Basin High/Low graph December 17. 2018 via the NRCS. San Miguel, Dolores, Animas, and San Juan Basin High/Low graph December 17. 2018 via the NRCS. South Platte River Basin High/Low graph December 17. 2018 via the NRCS. Yampa and White Basin High/Low graph December 17. 2018 via the NRCS. 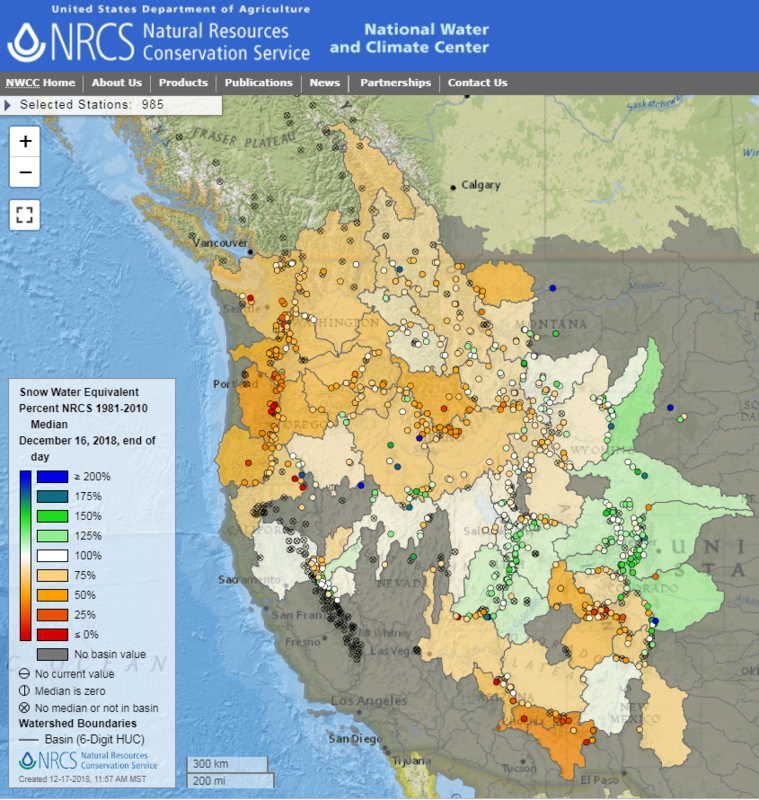 And here’s the Western U.S. Interactive basin-filled map for December 17, 2018 from the NRCS. Westwide basin-filled interactive map screen shot December 17, 2018.